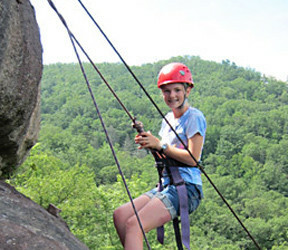 The camp counselors at Rockbrook are selected because they love working with children, they offer excellent skills, and are superb role models for the campers. They come, not just for a summer camp job, but because they love camp. 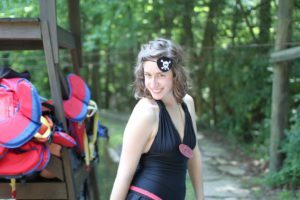 A camp job is really unique because it requires counselors to me part friend, part mom, part teacher and part cheer leader. 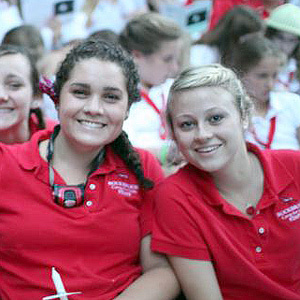 The camp counselors and other staff members at Rockbrook work really hard, but they gain many valuable skills they can apply later in their careers. I think I was supposed to write on the events of the day here at RBC, but I wrote about the ones that make those events happen. I just thought that you, as parents, would fully appreciate learning more about these great leaders that your girls will, most certainly, come home talking about. Let me begin by saying that this blog entry was left to my discretion. Our humble full time staff here at Rockbrook would not choose to be boastful by having an entry written about them. But, Mama B has the password, and I feel this post is well deserved! 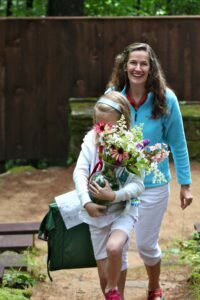 As a camp mom, I get to show up and do what comes natural by helping out in situations that warrant a mom’s attention. My duties seem simple compared to the ones of the full time staff around me who work all year and around the clock in the summer to provide the very best camp experience for our daughters. I am amazed every year at the amount of work that goes on behind the scenes requiring countless hours of planning and organization. 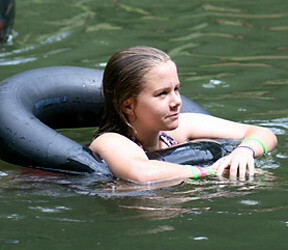 What appears to campers to be spontaneous activities, really takes hours of planning to make it happen. 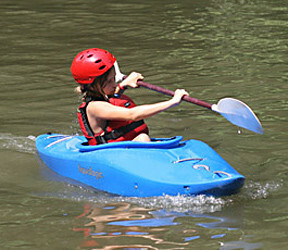 Every detail of all planned activities here at Rockbrook has been thought out months ahead of time, so that everything runs smoothly down to the daily muffin flavor, bead color, and set of paddling gear. This is all made possible by a staff that has a passion for Rockbrook Camp. They were all campers and/or staff here previously, which makes their jobs personal. They all have a great love for this camp, and their goal is for our daughters to have the same great experience that they did. They work continuously to make it even better. They each have gregarious personalities and each possesses individual gifts, that when combined, make RBC run like a well oiled machine. The descriptions below are only a portion of all the tasks that the administrative staff accomplish here at Rockbrook. I took the liberty of interviewing a variety of campers and counselors here this session because when I try to describe such an amazing team, my words seem inadequate. 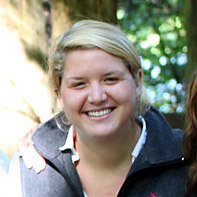 SOFIE-She describes herself as “a counselor the counselors,” but she’s so much more than that! Her gift is with people, and her spirit is electric. She does interviewing that takes place all year, as she handpicks the young women that will lead your children. And, I must say, this is one of the best staff of counselors that I have ever seen. Their energy is continuous, and their smiles are never ending. The personalities spotted by Sofie have meshed perfectly with one another, and the joyous spirits have transplanted to the campers, providing a perfect camp atmosphere. 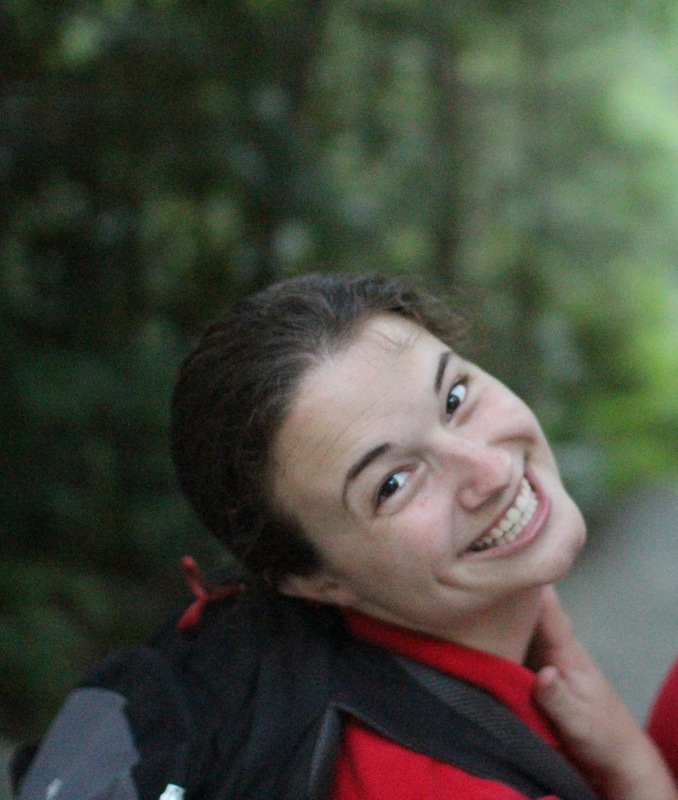 The counselors all laugh with her and enjoy her company here at camp, but they have the utmost respect for her. She holds them accountable in a joyous way that makes them want to strive to be better leaders. One counselor described her as “the sun,” and I think that’s a perfect description. GRACE-She can be spotted here at camp with what she calls her “squinty smile,” and she’s easy to identify because it’s always on her face. If you listen carefully, you can also find her by hearing her laughter, which makes her the perfect liaison between the girls and parents. She’s on top of any situation that may arise with campers, and she does such a beautiful job of communicating with young girls in a way in which they can relate. 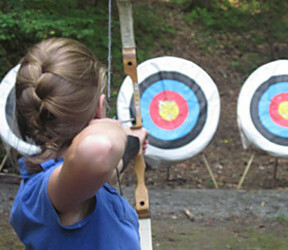 She also insures that your girls have every opportunity to participate in all their desired activities here at camp, so that their experience is all that they hoped it would be. She has the gift of organization as shown by her assurance that each child is on the appropriate list for the activity that they have chosen, and that the counselors of that activity are anxiously awaiting their attendance. 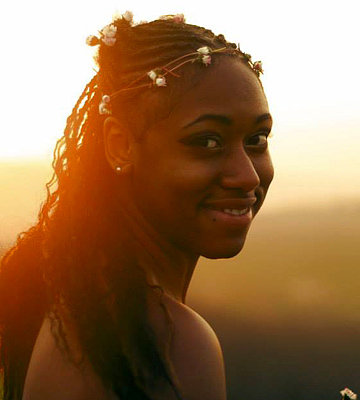 She spends a great deal of time pairing pen pals, which the girls look forward to, and allows new campers to feel connected before their arrival. Cabin assignments are also a crucial part of Grace’s job, as she carefully places each child with a peer group and counselor for each session. 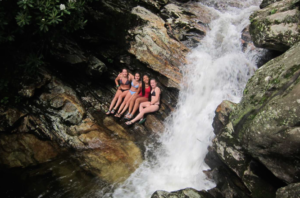 CHASE-Chase exemplifies the epitome of the Rockbrook Spirit, and I think this is essential for someone planning all the events that your girls attend here at camp. She makes everything “fun,” as shown on your girls faces as they attended a pirate party, World Cup soccer night, pancake breakfast, overnights, vegetable garden cutting, and the list goes on. I can only imagine the preparation it takes to get ready for a party for this many girls with various silly activities and snack choices. She makes it look easy, and the greatest part is, she has the best time of all! 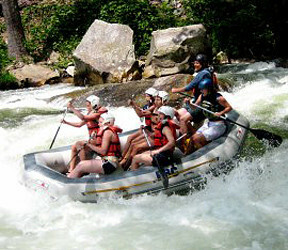 She has insured that all the activities are stocked with all the necessary equipment and supplies. A great deal of her time in the off season is spent ordering beads, paint, fabric, clay, string, and all the necessary supplies needed so your daughter can create masterpieces to bring home. Her jovial spirit is evident in everything she coordinates, and a good time is had by all. SARAH and JEFF Carter-I can honestly say I don’t have any conception of the quantity or variation of tasks this couple accomplishes on a daily basis to run this camp so successfully. If I attempted to describe their efforts, I’m sure I would way under estimate the time and energy it takes to run such an extraordinary organization. But, I can say with confidence, that every detail is considered, every activity researched, every staff member contemplated, and every aspect perfected. 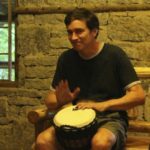 JEFF-Although he may appear to be in the background to many of the younger campers, he plays a profound roll in the experiences of the older campers. 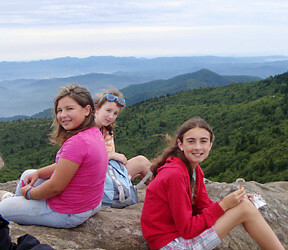 As a past Rockbrook hiking instructor, he has a great knowledge and love for the outdoors that he enjoys sharing with the older girls. He provides great safety skills and a sense of security for the girls that are transitioning to counselors, on their three day overnight. 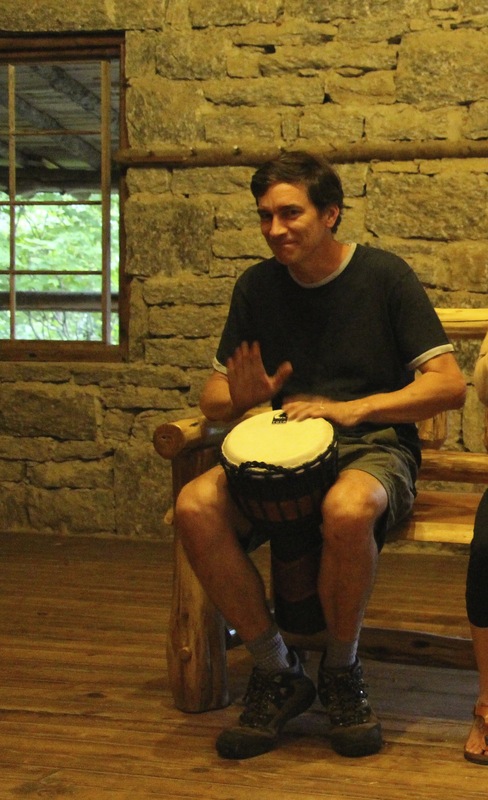 One counselor stated “He had a great Rockbrook experience, and he wants to give back so that girls can grow, learn, and pass it on to their campers.” Jeff has a keen awareness of everything that is going on during camp. He’s always there to making sure everything is running according to plan. His state of the art website is work of its own, and he’s constantly seeking improvements to be made each year. SARAH-Sarah fully appreciates each and every Rockbrook tradition, and she values its meaning. She has worked very hard to preserve the heritage here that she remembers as a child. It is such a joyful experience for her and for the rest of the moms who attended here, to be able to share this with our daughters. 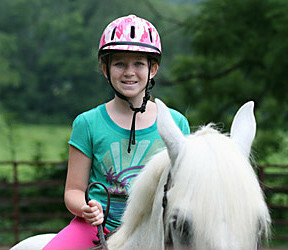 Her gentle, calm spirit makes campers comfortable, and she handles all situations with such grace. Whatever circumstance she is faced with at camp, she exemplifies patience, which puts everyone around her at ease. 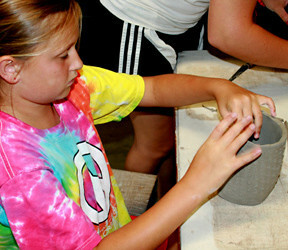 She not only knows each and every camper by name, but she recognizes their distinct qualities. She fully appreciates each of your daughters’ uniqueness, and how they contribute to their cabin community. When you have owners and staff who are emotionally invested, it drives them to make camp all it can be. Their spirit for camp is contagious, and your daughters will hold on to the memories they have helped create throughout the year. 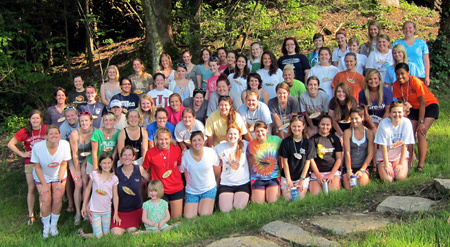 I am grateful that all the girls who attend Rockbrook are the beneficiaries of such a passion, aimed at the creation of a great camp experience! 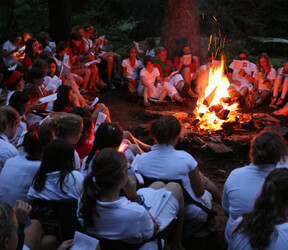 The third session Spirit Fire, that closed that session and the entire 2012 season, included a speech by Leah Mayo (here she is on the right just before giving this speech). Leah has been coming to Rockbrook for 10 years, first as a Junior camper and now as a counselor, and in the speech she tries to describe “the magic of Rockbrook.” It’s a wonderful testament to why she loves this place so much. Enjoy! I can’t believe it’s finally happened, that I’m wearing my 10-year necklace. I can still remember standing up my second year for applause at Spirit Dinner and thinking how far away receiving even my 3rd-year pin was. Ten years is a long time; it’s more than half my life. And this year I’ve come to realize just how lucky I am to have spent ten years here, to have been a part of the magic that occurs here for ten summers. And that magic is what has kept me coming back year after year, and has made such a radical difference in my life. 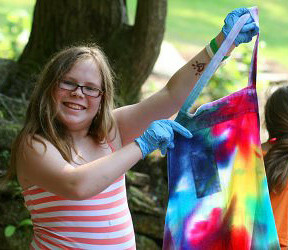 The magic of Rockbrook is hard to describe, but one of my campers last session came very close. She said that she loved Rockbrook because here “it’s okay to wear your shirt inside out.” She’s eight years old, the same age I was when I first came to camp. My first year at camp was one to remember, I let a High-Up dye my hair blue and Jerry bought me a brush because he thought I lost mine due to its “wild” appearance. I went to the riflery tournament that year—I guess some things haven’t changed. But a lot of things about me have changed. I’ve found myself. Rockbrook’s magic is that it allows everyone to truly be themselves. And in the process, find yourself. It is here that I have found myself. It is in the heart of the wooded mountain that I have grown from that 8-year-old girl who couldn’t brush her hair into the person I am today. And the magic continues each year. This year has been the most magical by far. 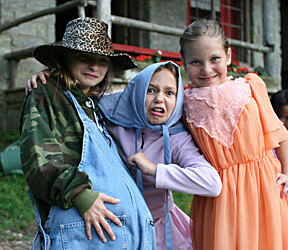 I had a lot of expectations of what my tenth year at camp would be like. I imagined I’d get my necklace surrounded by my friends with whom I’d grown up at camp. But the people who spent those ten years with me aren’t all here. Some came earlier in the summer, some didn’t come at all. I was very sad when I realized I wouldn’t get to share this day with them, but little did I know I would be surrounded by some of the most amazing girls ever! It has been such a treat to watch them grow as I did and put on one of the best banquets I’ve ever seen. I am so glad to know each one of them, and will always cherish the times we’ve had this session. We’ve all grown so much these past weeks. Someone special to me once said this in a Spirit Fire speech, and I want to pass this along to all of you: You are all strong, independent women. If you were a holiday, you’d be the Fourth of July. I am so proud to be your counselor. And to my co’s, I couldn’t have asked for better people to spend hours upon hours in Treasure Island with. We really are a family now. Rockbrook’s magic is also about relationship building. It is here that I have formed friendships that have turned into sisterhoods, and I am close with people who live all over the states. My wish for my girls, and all the campers here, is that you will build friendships that will turn into lifelong relationships here as I have. And that here at camp you feel free to be yourself and so find yourself. There’s a line in the camp song that goes “May you see us one day the girls that you wish us to be.” That line has been on my mind all summer. The Spirit of Rockbrook isn’t finished working its magic on me yet, but I am so happy that I have spent ten years here and look forward to more. 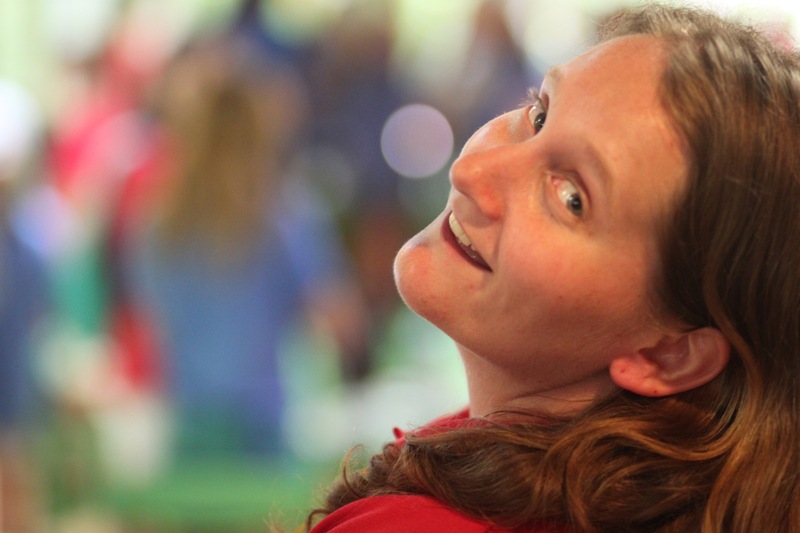 Everyone at Rockbrook is thrilled to announce that Catherine Frampton, affectionately know around here as simply “Frampton,” has accepted the full-time position of Program Director. She worked as the Assistant Program Director last summer, as a cabin counselor for several summers before that, and came to Rockbrook as a camper as well. 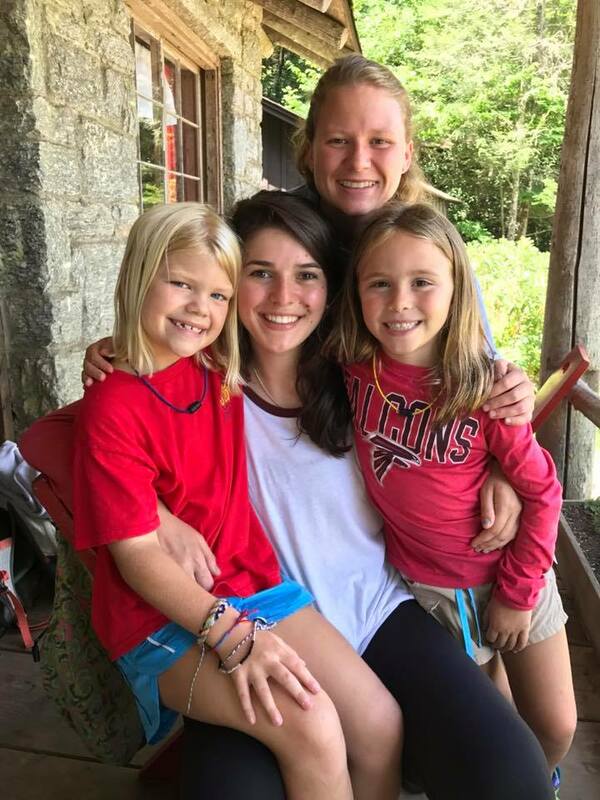 With this solid camp experience, and with a freshly minted liberal arts degree from Sewanee, Frampton is bringing great skills and experience to her new job. Frampton replaces Mandy Horton, who after holding this position for five years, has accepted a job working for Agnes Scott College in Atlanta as one of their student recruiters. Here is a press release announcing Frampton’s new position. The news has spread far and wide! You never know who you might run into, but when it’s a break between summer camp sessions and you’re at a popular restaurant, odds are it’ll be a camp counselor. That’s exactly what happened to Rebecca W. (all around awesome camper!) and her family when she suddenly recognized not one, but fifteen Rockbrook counselors! 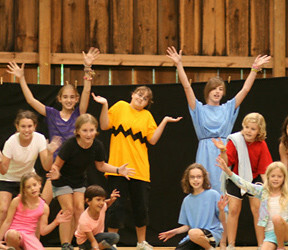 It didn’t take long for their Rockbrook spirit to percolate up and inspire a camp song or two. A very happy coincidence, and fun for everyone. Today marked the official start of Rockbrook’s 90th summer as we welcomed our cabin counselors and a few special staff members for the 2011 summer season. We all were very excited to welcome back so many former counselors (almost 80% returners) and to see such eager staff members newly hired for this summer. Throughout the afternoon, many old friends were reunited just as we enjoyed making new friends among the staff members. We have a full week of orientation and training sessions planned, as well as some fun surprises to keep things lively. It’s an important week as we all focus on preparing for next week’s opening day of Rockbrook’s first camp session, and a great summer. We can’t wait! Last evening Mandy got to enjoy dinner with former Staff Director Jessi Nixon. Luckily, Jessi lives just down the road in Arden, NC. 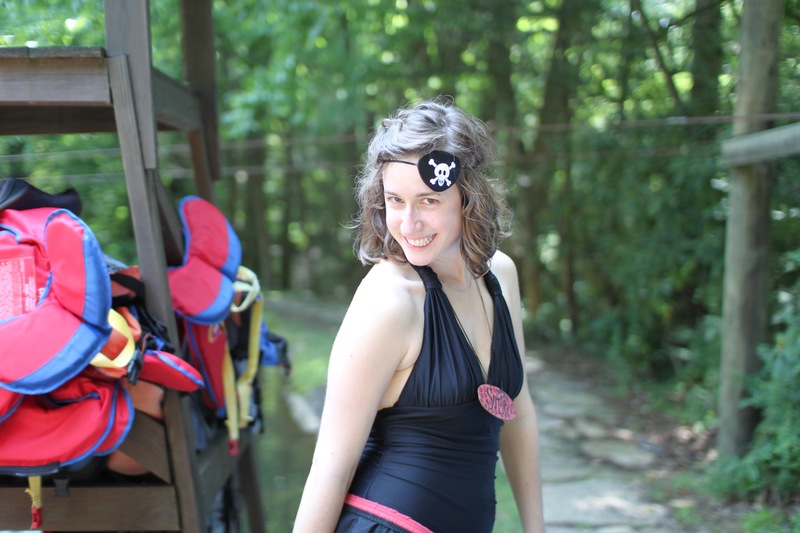 Jessi wanted to make sure that everyone got a big “Hello!” from her, and she is so happy that everyone is excited for summer 2011 at Rockbrook. Here are some quick updates on Jessi. Jessi’s currently doing about a million different things. She is training for another mini-triathlon. Last year, she did her first one along with directors Mandy and Charlotte. So, she is spending lots of time in the pool and on the bike. She is living with a retired lady with whom Jessi spends lots of time and helps her around the house. Her graduate program in Charlotte is taking up a lot of her energy as well. Jessi is constantly on the road and cannot wait to begin her second semester in Christian Leadership. Her other main focus is her part-time job as one of the youth directors at a church in Arden. She continues to love working with youth and the directors team there. If you would like to contact Jessi, let us know. She would love to hear any updates from our fabulous Rockbrook counselors! 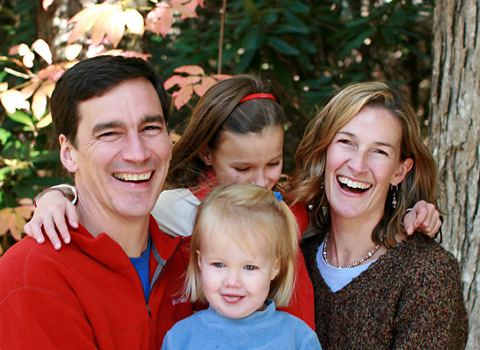 Meet Jeff and Sarah Carter, the owners and directors of Rockbrook. They are the dynamic couple that keep camp running so well, and are full of surprising talents and experience. For example, did you know that they are both educators with years of experience teaching elementary, middle, high school and college students? Did you know that they both began working at Rockbrook in the mid-1980s and continued to do so for more than 20 years now? Did you know that they met while working at Rockbrook and got married at camp (in the senior Lodge)? Did you know they are both musicians with Sarah playing fiddle and Jeff guitar? Did you know they are the parents of two girls, Eva and Lily? Well, it’s all true! And there’s more to know, so hop over and learn more about Sarah, or learn more about Jeff. And then get in touch with them. They’d love to hear from you. An Intergalactic Preacher, a Zombie Bride, Elmo and Cookie Monster? Wait, who are these people? It’s Jeff, Sarah, Mandy and Jessi!